It began in August 1953 – replacing democratically elected Mohammad Mossadeq (Iran’s most popular politician at the time) with a generation of brutal US-installed Mohammad Reza Shah Pahlavi dictatorship. A 2013 declassified CIA document (marking the coup’s 60th anniversary) publicly acknowledged the agency’s involvement (Operation TPAJAX) – what’s been well-known for decades. Kermit Roosevelt (Theodore’s grandson, Franklin’s cousin) engineered the CIA’s first coup. Harry Truman established the agency in 1947, saying he “considered it very important…to have a sound, well-organized intelligence system…(but) no Gestapo under any guise or for any reason.” Things have a way of not evolving as planned. The late Chalmers Johnson (once a CIA consultant, a former “spear-carrier,” he said) called the agency the president’s “praetorian guard,” a private army producing phony intelligence to justify extrajudicial actions. They include toppling democratically elected governments, assassinating foreign heads of state and other key officials, propping up friendly dictators, and abducting targeted individuals for extraordinary rendition to agency controlled black sites – torture prisons to extract forced confessions from innocent victims under extreme duress, at times bringing them close to death and back. Longstanding US policy isn’t pretty. Iran endured it for 62 years this August – with no end in sight despite agreement in Vienna. It may not stand the test of time given America’s odious history of breaching deals – blaming victims for its duplicity. Following its 1979 revolution, Jimmy Carter considered invading Iran, seizing its oil fields, toppling its government and reinstituting US-controlled despotic rule. His doctrine pledged regional military intervention if US interests were threatened. Longstanding US hostility toward the Islamic Republic began on his watch. It continued during nearly eight years of US-instigated Iraqi war on Iran – begun September 22, 1980, taking over a million lives, including many civilians. Anti-Iranian hostility remains hard-wired. Regime change is official US policy. Tehran’s well-known peaceful nuclear program was always red herring cover for what’s really at stake – Iranian sovereignty on the chopping block for elimination at Washington’s discretion, by Obama or an administration succeeding him. America tolerates no independent governments – especially oil and gas-rich ones anywhere. For now, long knives aim to undermine years of hard work, consummated in Vienna – the July 14 seven-nation-agreed Joint Comprehensive Plan of Action (JCPOA). 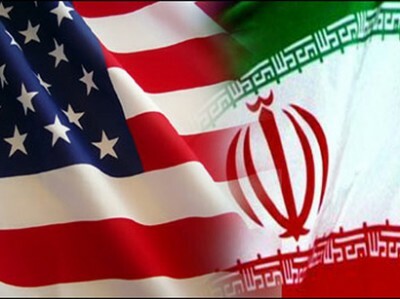 Expect revved up Iran bashing at least until the Republican-controlled Congress likely rejects it in September or earlier, followed by Obama’s veto and uncertainty whether override follows. Weeks of non-stop demonization, misinformation, and Big Lies began. David Albright is a notorious Iran basher. He heads the Institute for Science and International Security (ISIS). It fronts for Western imperial interests. US media feature his remarks. He claims nuclear expertise he doesn’t have. Former Iraq chief weapons inspector Scott Ritter once called him a “nuclear expert who never was.” His analyses are “half-baked. He breathes false legitimacy into factually challenged” claims. He unjustifiably called Iran “practiced at cheating. You can’t count on them to make a mistake.” He’s been caught red-handed before lying about Iran’s legitimate nuclear program. Olli Heinonen is another well-quoted figure of disrepute – a former US-installed IAEA deputy director general, at one time a so-called Washington Institute for Near East Policy “expert.” WINEP is a well-known Israeli front group. He claims Iran will cheat at “undeclared facilities” by conducting covert nuclear work on a nonexistent path to the bomb. Israeli Foreign Ministry head Dore Gold speaks for Netanyahu – currently in full Iran bashing mode. He lied claiming a “major escalation” of Iran-backed terror attacks are coming on Israel’s borders following the Vienna agreement and lifting of nuclear related sanctions. He practically signaled planned Israeli false flags wrongfully blamed on Iran – like earlier Mossad-staged ones. The campaign to demonize Iran more than already is in full swing. Expect continued irresponsible fear-mongering to influence US public opinion and Senate Democrats supporting the nuclear deal – an all-out blitzkrieg to subvert it. Stephen Lendman lives in Chicago. He can be reached at[email protected]global.net.